The Brentwood Noon Rotary’s 10th-annual Little Harpeth River cleanup had record numbers this year, drawing the most volunteers the event has ever had. 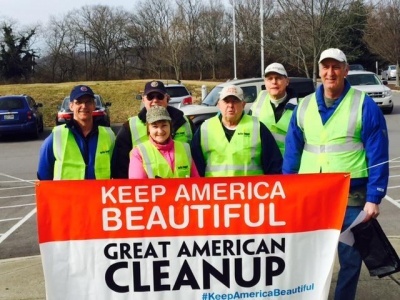 Ten out of the 16.3-mile stretch that is the Little Harpeth River is located in Brentwood, and various Brentwood agencies and individuals come together once a year to pick up trash from its banks. On Saturday, Jan. 31, a record number of 101 volunteers collected 2,750 pounds of trash along the 22 miles of the Little Harpeth River’s banks. “It was great to see all the volunteers come together for such a worthy cause, but really is a shame that we have to coordinate this event annually,” Rotary member Skip Heibert said. The Little Harpeth River’s headwaters begin near Ravenwood High School, then slowly flows past Primm and River parks, the Brentwood Library and Turner Farm before it eventually empties in the Harpeth River. Heibert said the 2,750 pounds of trash is about average from years past. “I hope this event helps people realize that the one soft drink can or plastic bag they toss really adds up on just our short 11 mile stretch of the river,” he said. Jonathan Romeo covers Brentwood for Home Page Media Group. Contact him at jonathan@brentwoodhomepage.com.